We provide a complimentary consultation after collecting the proper diagnostic records required to determine the best treatment options for you. These records include an examination, detailed medical and dental background and x-rays. Our fees for these records can range from $150.00 to $300.00. We believe that you deserve quality time in assessing your choices; we are unable to provide free consultations or estimates over the telephone. We accept all major credit and debit cards as well as personal cheques; please settle your account at the end of each appointment. We will gladly complete insurance claims for you and your insurance company will pay you directly. If you need to change your appointment kindly give us 48 hours notice to allow us to give it to someone else. 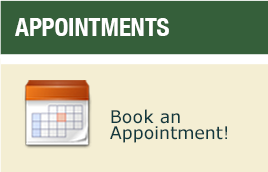 Our cost of unannounced appointment changes is $60.00 and we need to charge that amount. If you have a surgery or sedation appointment please have a responsible adult accompany you.